UNDATED - The South Dakota Prep Media Basketball Poll for the week of Feb. 11 is listed below, ranking the top-five teams, the team’s record, points received and ranking in the previous poll. First-place votes are listed in parentheses. Receiving votes: Huron 9, Harrisburg 3, Stevens 2. Receiving votes: Lennox 8, Sioux Valley 4, Dakota Valley 4, Red Cloud 1. Receiving votes: Jones County 1, Timber Lake 1. Receiving votes: Stevens 14, Washington 2. 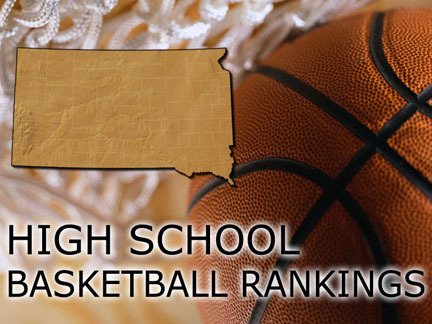 Receiving votes: Vermillion 11, St. Thomas More 5, Todd County 3, Belle Fourche 1. Receiving votes: Bridgewater-Emery 7, Avon 2.